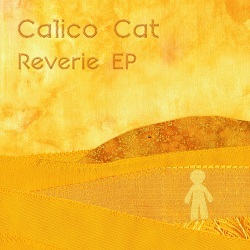 ‘Reverie EP’ is the debut EP from new act Calico Cat. The band is led by Andy Harris, also a member of Haunted Stereo and Anja McCloskey’s band. The EP showcases Harris’s melodic songwriting and layered arrangements. Lead track ‘Aimless’ is a perfect example of the Calico Cat sound, numerous intruments each demonstrating their own unique melodies culminating in a rich tuneful mix. The EP benefits from numerous Sotones cameos. Dave Miatt (Jackie Paper), Anja McCloskey, Joe Kelly (Etao Shin), Richard Lomax (Johnny5thWheel&thecowards and members of Haunted Stereo all appear on the 5 track selection. The EP is available both physically and digitally. The physical copy is Sotones’ first cassette tape release – a download code is included.